Do you hear it? Nicaragua calling out to you? Have you been in a Costa Rica language school and you will travell to learn more Spanish in Nicaragua? Visit to catch a glimpse of some beautiful but globally-threatened birds or gorgeous volcanoes. Dine on the national food staple, gallo pinto (beans and rice—though, literally, it means something like “dotted rooster.” Go figure!) also you will find Gallo Pinto in Costa Rica. Feeling more adventurous? Try volcano boarding! It’s a huge thing in Nicaragua—which is, honestly, one of the best volcano-boarding hotspots on the planet. More of a culture buff? Check out the marimba and see El Gueguense (The Wise Man). You won’t be disappointed. You’ll find yourself falling into the relaxed atmosphere of the place in a heartbeat. The only thing that could make the experience better? Being able to communicate effectively with the locals! Learn some Nicaraguan lingo before you head out and power up your travel adventure! Nicaraguan Spanish Is Unique—and Includes Lots of Slang! Spanish is the official language of Nicaragua although two forms of English are also spoken there. Creole English is used in the Caribbean coastal area and Standard English is spoken among the expat community. Nicaraguan Spanish is often called Nicañol. Nicaraguans use the voseo form of verb conjugation rather than the one most of us are familiar with, the tuteo form. It just means that vos (you) takes the place of the second person pronoun—instead of tú (you). It`s a good idea take a Spanish immersion program in NIcaragua or Costa Rica. Other countries in Latin America use this conjugation method, such as El Salvador and Argentina. Along with all of that Spanish, you’re going to hear lots—and I mean lots—of slang. Remember, the atmosphere is casual and where the living is laid-back, the word on the street is often loose and easy, too! Why Learn Spanish Specific to Nicaragua? Whenever you travel to a country to study Spanish, it’s great to have some basic, ice-breaking phrases on hand. Idiomatic expressions also increase your Spanish vocabulary—and many times, they do it in a very colorful way! Let’s face it: When we travel we go to experience a culture and communicate with those who live at that destination. We want to see and learn—and interact. Take a Spanish course with any immersion Spanish School is always a good deal. With some slang under your belt, you’ll be able to talk with the locals with confidence. You’ll be able to make compliments, meet new friends and feel at home when you’re away! There are some super tools that can help get your Nicaraguan Spanish up to speed. And the best part is, they’re fun to use! 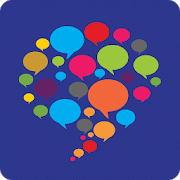 HelloTalk is the go-to language exchange app if you’re looking to exchange ideas with someone living in Nicaragua. This global culture and language exchange community offers the opportunity to chat with native speakers through text and audio messages. This isn’t a course in Nicañol. Rather, it’s the chance to chat one-on-one with someone who’s able to teach you from their own experience. Ask questions that wouldn’t be covered in textbooks or just gain lingo from the chat experience. This is a self-directed exchange that’s sure to be a language-learning adventure! The app is available for iOS as well as Android. 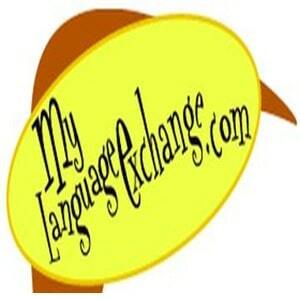 Language Exchange is another excellent resource for gaining some practice with a native speaker. There are more than three million members from over 133 countries practicing 115 languages, so it’s definitely a global phenomenon! Finding a language partner with Language Exchange is simple. Enter your information on the home page (native language, practicing language and country). There’s a spot for age requirements, as well, but that’s optional. I left out the age question and the search yielded over three dozen language learners in Nicaragua searching for a language exchange partner! It doesn’t get any easier than that to find someone to chat with, learn slang from and even just figure out what sort of clothes to pack for the epic volcano-boarding expedition! 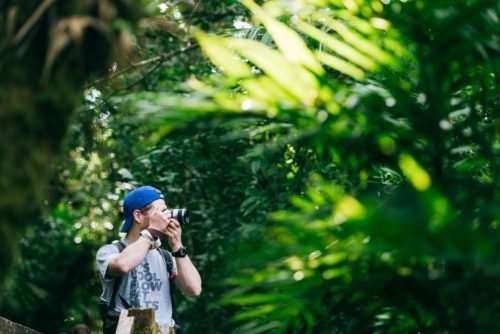 To get your Nicaraguan slang off to a good start, here are some must-know terms that you can practice before the airplane wheels hit the Central American tarmac. Remember, slang is inherently an informal aspect of communication so please don’t use any of these examples in a formal environment! Something to be aware of: Chunche can also refer to female genitalia. So chances are, if you’re in a heated discussion and hear the word, the other person probably isn’t calling you a doodad. Just a point to remember. But most often it’s used to refer to an item, not a person or their parts. Escucha, agarrame ese chunche de allí. Listen, pass me that thing over there. While ¡Hola! (Hello!) and ¡Adiós! (Goodbye!) are still standard Spanish expressions that you’ll hear frequently, adiós is also a casual, on-the-street method to acknowledge passersby in Nicaragua. It’s similar to the Hawaiian Aloha (Hello / Goodbye). Or even the passing New Yorker’s “Hey” and head nod that can mean just about anything. “¡Adiós!” from the woman passing on the sidewalk with a baby carriage. “¡Adiós!” and a wave from a friendly toddler. Adiós is everywhere, and is just a casual way to greet people. Use it while you’re in Nicaragua and you’ll surely garner smiles! The literal translation of this expression is “You are worse than rainfall” and it’s definitely an insult. It’s used when someone is a pest or just bothersome, like a mosquito that won’t go away. Considering the Nicaraguan rainy season is seven months long and probably curtails a lot of outdoor fun, likening someone to anything worse than rainfall is definitely not complimentary! The street vendor who won’t stop following you with his brightly-colored sandals even after you’ve declined the invitation to purchase them? Surprise him with, “¡Ser peor que un pujo de vendaval!” and see how quickly he backs off! Pues is another wonderful all-purpose word. Quite simply, it’s the word used to fill a pause in a conversation. You know, the one that gives a speaker time to consider a response. Vamos a cenar … pues… más tarde. We are going to dinner…hmm… later on. The actual translation of salvaje is “wild” but it has an even trendier translation. On the street, in the club, in a classroom or just about everywhere else you’ll hear the word, it’s the catch-all expression to signify something is cool, awesome or lit. El nuevo restaurante es genial. ¡El pico gallo es salvaje! The new restaurant is great. The pico gallo is awesome! Cuecho is a fun slang word because, well, it’s got a roll-off-the-tongue sound but also because it’s a case of cultural reference becoming street lingo. Literally, cuecho refers to something that’s been ground (like coffee into grinds or something made into a powder) but its slang meaning is “gossip,” which is a folk song reference. Carlos Mejía Godoy is a Nicaraguan musician whose popular song “La Tula Cuecho” spawned this slang expression. In his song he references a woman, “Gertie the Gossip” who practically rules the town with her sharp tongue. A flor de labio maneja el chisme. On the tip of her tongue she handles the gossip. It’s just a fun example of song lyrics gaining a solid spot in the everyday slang lineup. When you want to confirm the person you’re talking to is paying attention, “¿Oíste?” is the word of choice! So head to Nicaragua for the sights, sounds and amazing adventures. But don’t leave home without some lingo! Power up your Spanish skills, blend with the locals and enjoy the experience!